Total Recessed Lighting offers 5" fluorescent recessed lighting housings that are CA Title 24 Energy Code and Energy Star compliant. 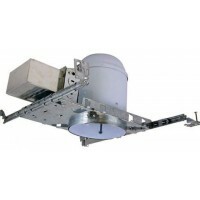 These fixtures are the industry standard for Title 24 fluorescent recessed housings. The 5" series is ideal above kitchen sinks, in hallways offices and anywhere where energy efficient and down ceiling lighting is required. 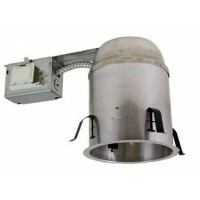 Use it with a a 26watt electronic 4 pin bulb in either a 27K, 35K, or 41K color temperature range. We recommend using the 27K for general home use as it is a warmer light and the 35K or 41K for kitchens and showers. Need assistance? Can't find what you are looking for? Contact us as our in-house designers can help you and we get new products in on a weekly basis.